The Vauxhall Adam is an uber cool three door super-mini, a market that has been rejuvenated by the success of the Fiat 500, the Alfa Mito and the Audi A1. The Vauxhall Adam is pitching to a tough buyer, one who not only wants an excellent car but demands the car comes with its own image, it has to impresses all when pulling over to pick up a skinny latte. This has been a stumbling block for major manufactures stepping into this fashion conscious market, the Vauxhall badge on the front of your car has never been seen as cool so instead of having a personality of its own the Adam is able to be an extension of its owners as it is customisable in a mesmerising number of ways, basically you buy a base model then have the choice to make it your own. One car. A million possibilities. 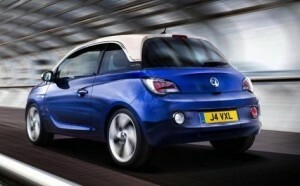 The Vauxhall Adam comes in three base versions, the Jam, the Glam and the Slam, all have Alloy wheels, DAB radio, Bluetooth, Cruise Control and air conditioning, which is a great start, the mid spec Glam adds climate control, LED running lights, climate control, fixed glass sunroof and a USB and aux input for the stereo with two extra speakers. The range topping Slam comes with OnStar for three years a two tone roof, 17″ alloy wheels, privacy glass and sports suspension. The Tech pack adds the R4.0 IntelliLink 7″ touchscreen with full smartphone interaction it also adds rear parking sensors. There is no diesel engine, but the engine choice is still very confusing, two four cylinder petrol engines are available: a 1.2 litre with 69 brake horse power and a 1.4 litre with 100 bhp. As both engines are the same price to mobility customers our advice is to opt for the most powerful unit which perks up the Adam considerably, 0-60 can be reached in 11.5 seconds and a top speed of 115 miles per hour, the economy of 51.4 miles per gallon is only 2 miles per gallon more than the sluggish 1.2 litre engine. The sole automatic option is the 1.4 with 87 bhp, the gearbox is an automated manual, so while it’s good for economy, it’s not as intuitive or smooth as a torque converter or dual-clutch auto. The Adam is Manual only this Quarter. The Vauxhall Adam makes for a good value yet confusing choice, space in the two front seats is excellent but the boot and rear are cramped, driving the Adam around town is a joy due to the light steering and comfortable driving position but on the open road the Adam becomes a little less fun as the ride is firm and driver joy is limited. The competition offer greener, more powerful and economic engines too but the Adam is all about style and most will be choosing it because of how it looks and we do agree it looks great. 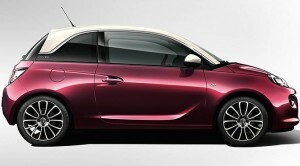 It has been announced that the Adam will be discontinued, there is only a single car availale to the Scheme this Quarter.